Four South African cities feature on the top 10 wealthiest list in Africa, according to the Africa 2018 Wealth Report - Johannesburg, Durban, Cape Town and Pretoria. The report unpacks wealth trends in Africa over the past 10 years. It defines "wealth" as the net assets of a person in US dollar terms - including property, cash, equities and business interests - less any liabilities. For the purposes of the report, a country’s wealth includes all individuals working or living there, including expats. South Africa was found to be the wealthiest country in Africa, with total wealth of $722bn. Total individual wealth held in Africa currently amounts to around $2.3trn (about R34trn). This is expected to rise by 34% over the next 10 years, reaching $3.1trn (about R46trn) by the end of 2027. The top African country in terms of average wealth per person was Mauritius, at $32 700, followed by SA. Total wealth held in Africa has risen by 13% over the past 10 years and by 3% over the past year. Mauritius was the top performing individual market during both these periods. Over the next 10 years, the report expects Mauritius, Ghana, Rwanda and Uganda to be the strongest performing wealth markets in Africa. On the other hand, the report projects that wealth growth in South Africa, Angola, Morocco, Egypt, Ivory Coast, Tanzania and Nigeria will be less favourable, but still positive. The most expensive city for prime residential property in Africa was Cape Town at $6 100/m² (about R90 000/m²). However, the report warns that property prices in SA are under strain due to uncertainty over land redistribution. Cape Town's drought also had a negative impact on prices. The safest countries in Africa are Mauritius, Botswana and Namibia. 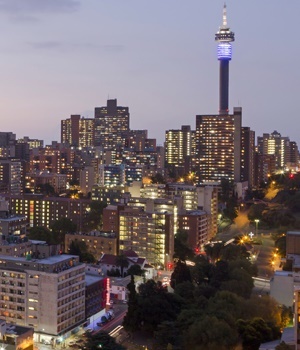 Total wealth held in the city (including Sandton) amounts to $276bn. Major sectors in the city include financial services (banks), professional services (law firms, consultancies), construction, telecoms and basic materials. Total wealth held in the city amounts to $155bn. Major sectors in the city include real estate, financial services (fund management), retail and tourism. Total wealth held in the city amounts to $140bn. Major sectors in the city include real estate and construction, financial services and basic materials. Total wealth held in the city amounts to $108bn. Major sectors in the city include basic materials, real estate and construction, telecoms, transport and financial services. Total wealth held in the city amounts to $55bn. Figures for Durban include Umhlanga, Ballito, Zimbali and La Lucia. Total wealth held in the city amounts to $54bn. 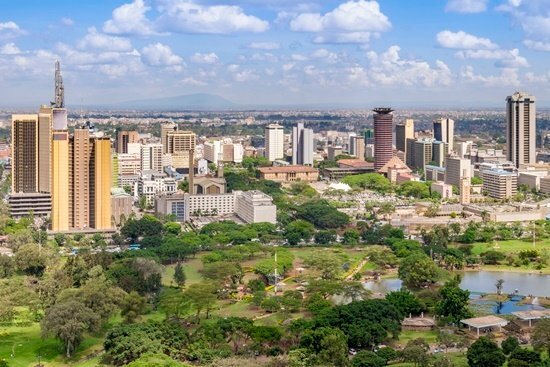 Major sectors in the city include financial services, real estate and construction, retail, tourism, fast-moving consumer goods (FMCG), telecoms and basic materials. Total wealth held in the city amounts to $49bn. Major sectors in the city include real estate and construction, transport and basic materials (oil and gas). Total wealth held in the city amounts to $48bn. Major sectors in the city include basic materials, manufacturing and financial services. Total wealth held in the city amounts to $42bn. Major sectors in the city include basic materials, manufacturing and financial services. Total wealth held in the city amounts to $38bn. Major sectors in the city include basic materials, manufacturing and financial services.